Most people know that Charleston, South Carolina, is the cultural capital of the south. It is a popular city brimming with historic charm, breathtaking architecture and phenomenal views. But did you know there are other areas surrounding Charleston that offer all the advantages of living in Charleston but without the constant stimulation of city life. When you want to live somewhere close to but not in the city proper consider one of the following luxurious homes available at this time. Check out the below communities that you can live in that offer amazing luxury homes. 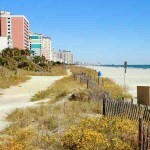 Coastal Living calls the Town of Kiawah Island “The Happiest Seaside Town in America”. This is a private island located just south of Charleston where you can enjoy boating, hiking, water sports, golf, fishing, dining out, shopping the many specialty shops or just kick back and enjoy life in a home like this prime luxury property at 25 Surfsong Road, Kiawah Island. Kiawah Island is made up of 10,000 acres of land and is over 10 miles long and 1-1/2 miles wide. Kiawah Island Golf Resort offers memberships where there are 90 holes of championship golf to be played on 5 different courses – The Ocean Course, Turtle Point, Osprey Point, Oak Point, and Cougar Point. At 3.3 miles long, Sullivan’s Island can be found in the mouth of Charleston Harbor next to Isle of Palms and just minutes from downtown Charleston. The area is full of history and folklore, provides many local shops and restaurants for dining and is a beautiful, vital environment anyone would be proud to call home. 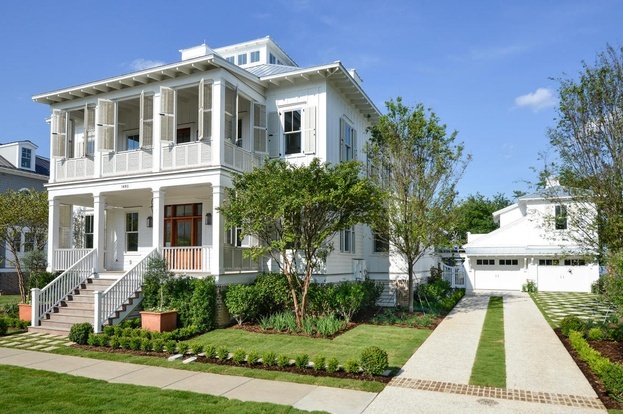 Homes like this luxury home shown here at 806 Star of the West Street, on The Point are among the many homes that overlook Charleston Harbor, the Charleston skyline and the ICW. 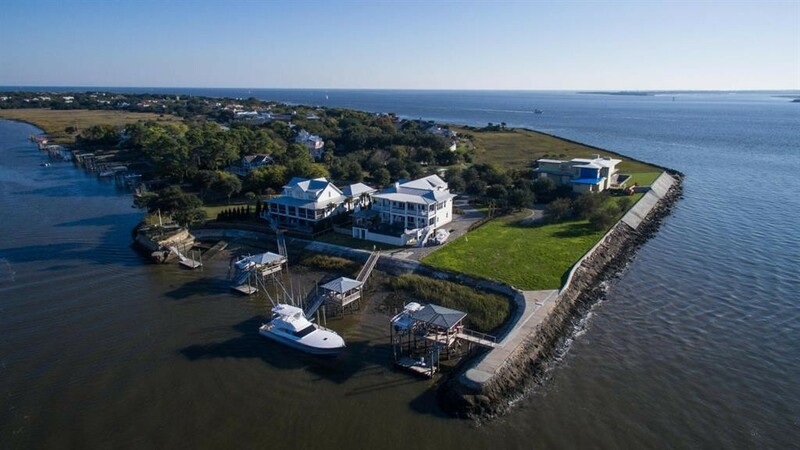 As the largest island in the state of South Carolina, John’s Island offers waterfront lots that overlook Wadmalaw Sound and the Kiawah and Stono Rivers. Just 10 minutes from downtown Charleston, this area boasts two brand new bridges, an executive airport and a 4- lane expressway to Kiawah Island. Homes as gorgeous as this luxurious 6275 sq ft home at 4138 Nature View Circle, John’s Island, are available. John’s Island is where you can see a 1,500 years old Angel Oak tree. This Live Oak towers 65 feet high, is 25.5 feet in circumference, and provides 17,000 square feet of shade. Just 15 minutes from downtown Charleston, Daniel Island offers a wealth of natural beauty, a sense of community among neighbors, good schools and an endless assortment of amenities and conveniences. Shown here is what may be the most beautiful home on Daniel Island and is located at 1480 Wando View Street. The island is made up of 4,000 lush acres and is surrounded by more than 23 miles of pristine coastline. The area boasts beautiful marsh views, rivers, and creeks as well as nationally ranked golf, impressive parks and sports stadiums and a vibrant pedestrian-friendly downtown.